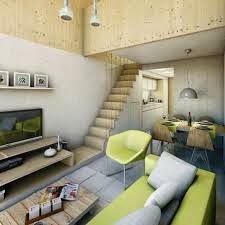 Once viewed as low-budget and low-quality housing by the Dutch people, newer prefab designs can provide urban housing and housing in the bush with quality equal to or better than stick-built homes. 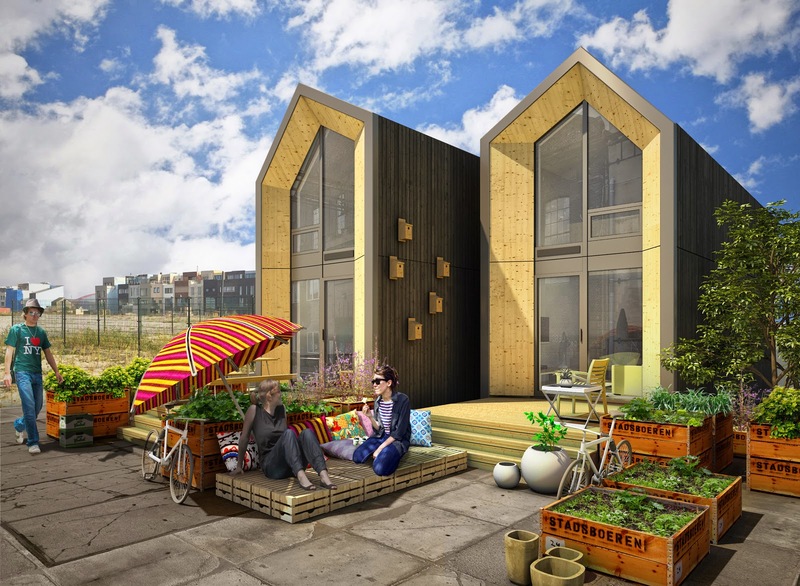 Now the Dutch company Heijmans began their Heijmans ONE project to address two issues: lack of good quality, affordable housing in urban areas, and useable but derelict urban sites in Amsterdam. To that end, architect Tim van der Grinten of MoodbuildersArchitecture designed a small, two-module, steel- and wood-framed home that’s prefabricated in a factory and shipped by truck to the building site. Once on-site, the house can be erected in one day with just a crane. You have to ask yourself if these modular homes caught on in the US would code inspectors and planning commission even allow them, even if it meant strong, well built affordable housing? 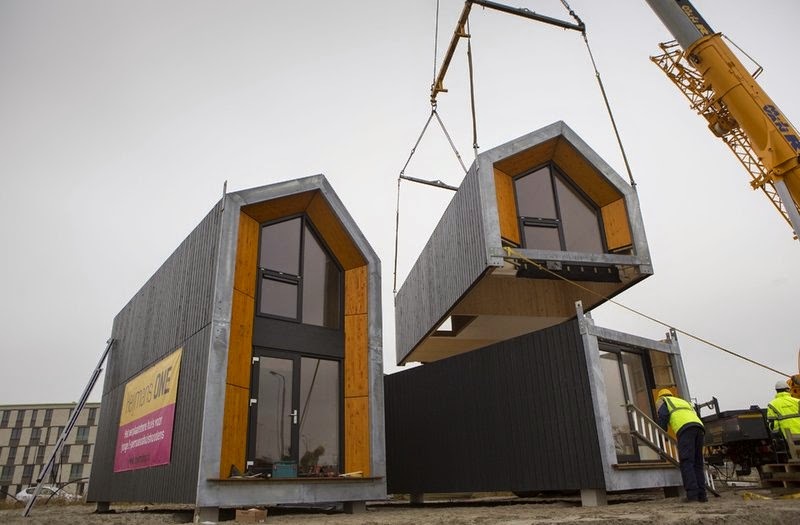 The company has produced and installed two prototype homes so far, both in Amsterdam. One home is a test case in which editor Carmen Felix is living for a few months to help refine the design and usability. The other is a demonstration model where interested people can stay for a night. Heijmans aims to build and install 30 units this summer/autumn in urban areas in cities such as Amsterdam, Rotterdam, and Den Bosch. The design uses a steel and wood frame to enclose a total area of 485 square feet. 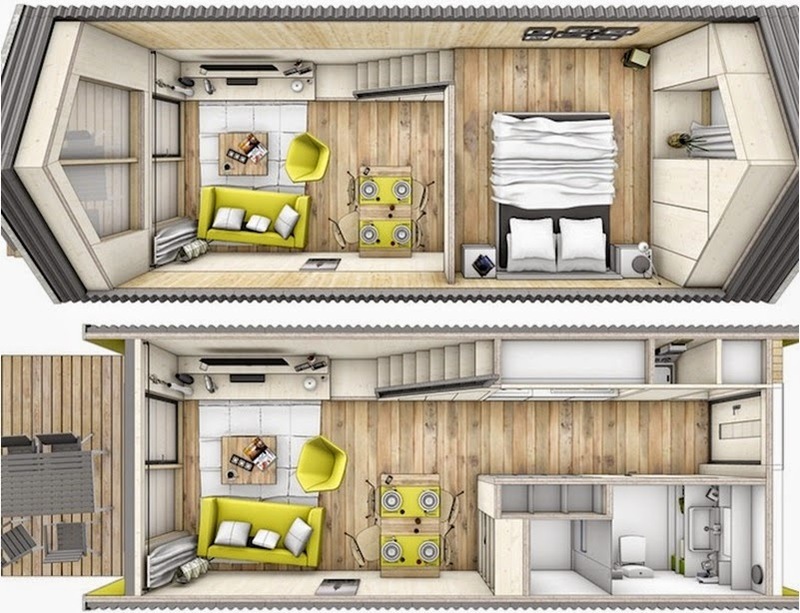 The lower module houses the kitchen, bathroom, dining area, living area and an exterior terrace, while the upper floor houses the bedroom and a small office space. The prefab modules are delivered in two trucks. Once on site, they’re stacked on the foundation by crane. Natural wood walls and ceiling, with massive floor-to-ceiling windows, make for a bright interior. The frame system carries the load on the exterior panels, creating an open interior space that can be modified easily in the future. Heijmans estimates the homes will last 25 to 30 years. Cost for the units has not been set yet, but it is believed they will be eminently affordable. The prefab modules are designed to be used alone or in multiple combinations, providing enhanced adaptability to each site.